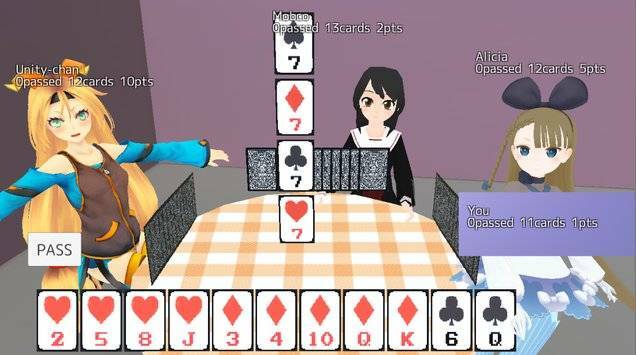 "Sevens" is card game with 3d girls.Easy operation and strong AI equipped. 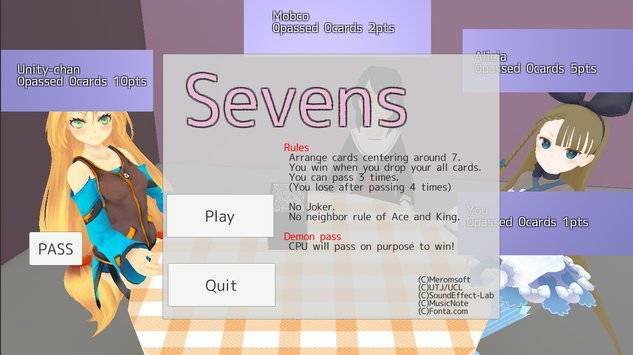 "Demon pass" AI characters will pass on purpose to win!AI characters joy when they win,and frustrated when they lose.You may surely empathize with a play game.Sevens Rules Arrange cards centering around 7. 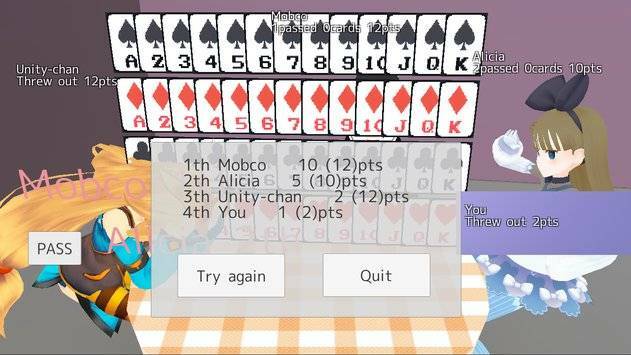 You win when you drop your all cards. You can pass 3 times. 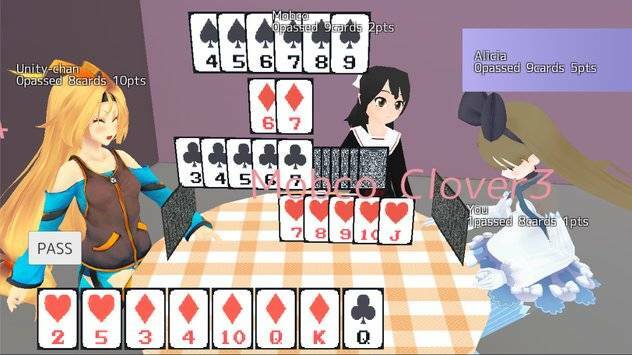 (You lose after passing 4 times) No Joker. No neighbor rule of Ace and King.